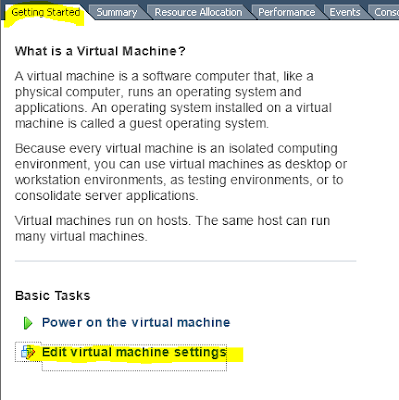 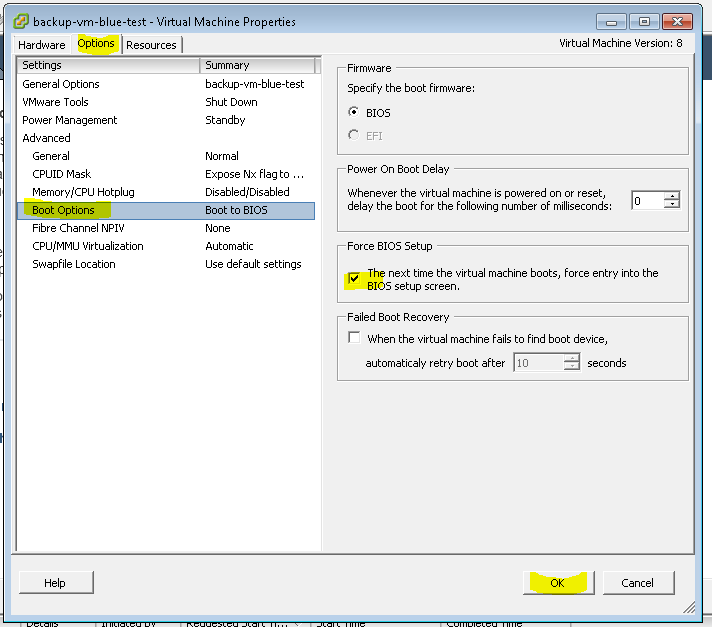 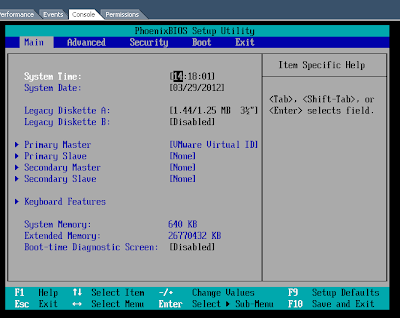 So you are having issues with your virtual machine running in VMware ESXi 5 and you need to get the VMware bios settings. 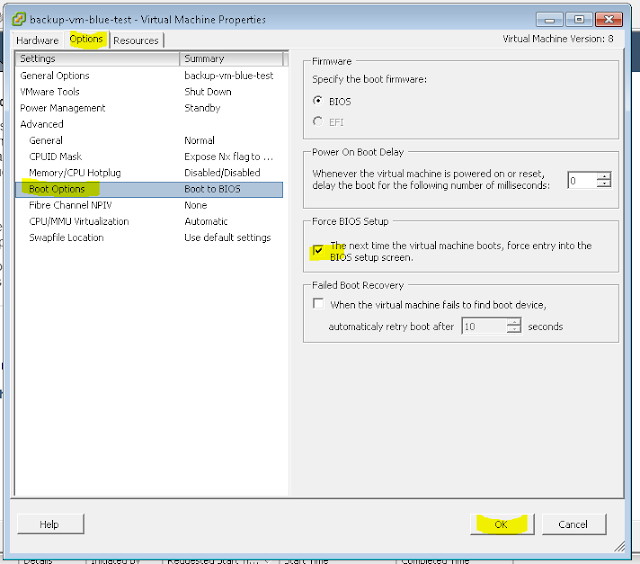 Here is how you can set the boot options. 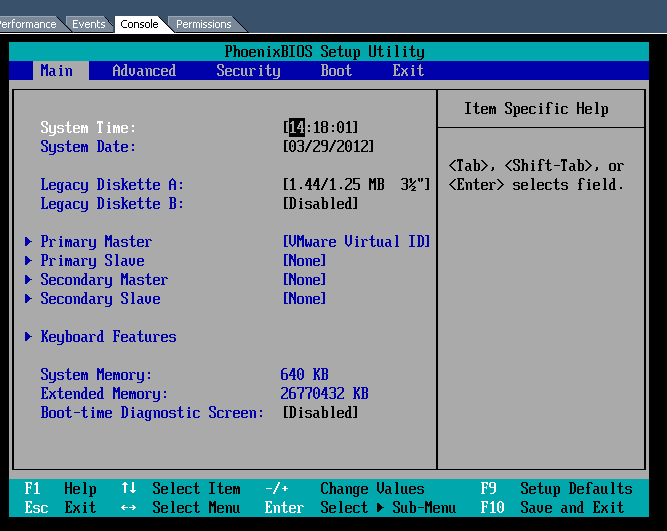 Boot up your VM, open up the console and you should see.